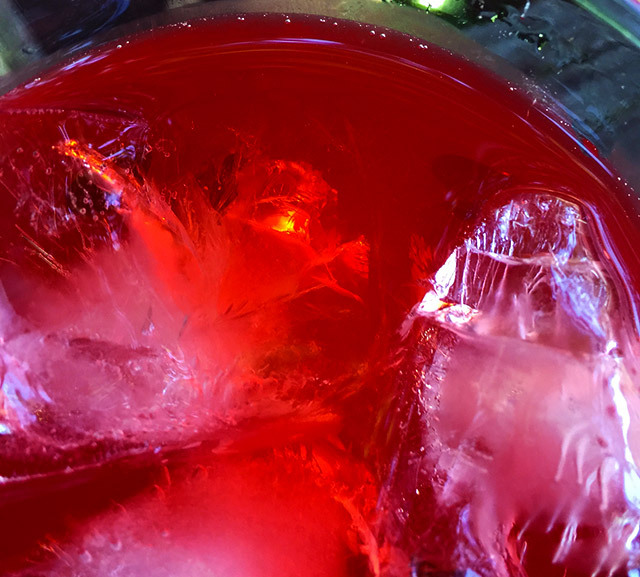 Six Delicious Facts about Hawaiian Punch. | Dinosaur Dracula! Hey, how ‘bout a nice Hawaiian Punch? I love Hawaiian Punch. Everyone does. Anyone who claims otherwise is lying. As a kid, I adored those huge canisters of the powdered mix. 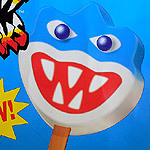 As I recall, Hawaiian Punch’s mixes came sugared, so while trying to eat “raw” Kool-Aid would leave you puckering, Hawaiian Punch’s powder was like naked Fun Dip. So good! Drinking it always felt like such a big occasion. I’d savor each sip like a good wine. Sometimes I’d pretend it was energon and do my bad Soundwave impression once I finished. Life was better, then. 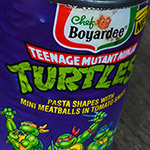 I still had Snake Mountain. Below are six delicious facts about Hawaiian Punch. I don’t know why I’m writing this. 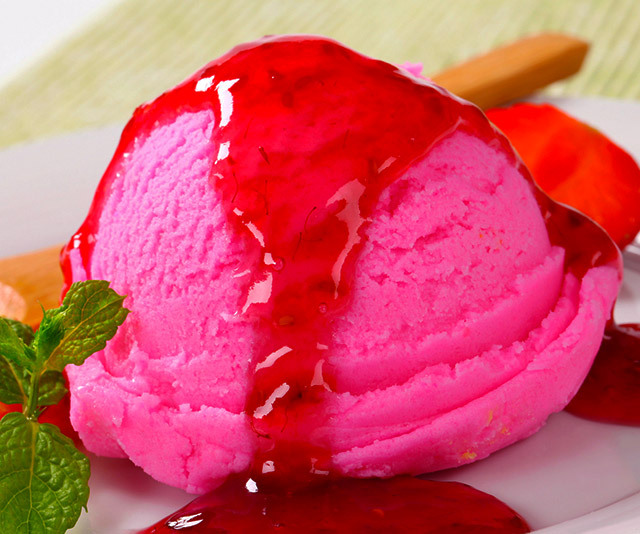 Hawaiian Punch was born as an ice cream topping! As the story goes, Hawaiian Punch was invented by three guys in a garage as an ice cream topping. 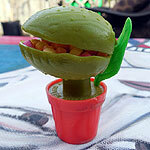 Sold as Leo’s Hawaiian Punch, the syrupy goop became a popular condiment at certain 1930s ice cream parlors. 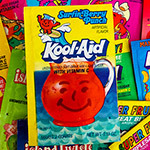 Incredibly, it wasn’t until 1946 — more than ten years after Hawaiian Punch’s debut — that it was finally marketed as a beverage. If you already knew this, kudos, because half the world didn’t. People closer to my age (and certainly people older than me) best know the Hawaiian Punch mascot as a sort of impish monster with chalk white skin and no use for pants. In this gif, made from an early Hawaiian Punch commercial, you can clearly see Punchy’s unimpressive mop. Some flavors are gone forever. There are many different Hawaiian Punch flavors available today, but there are even more buried in history. 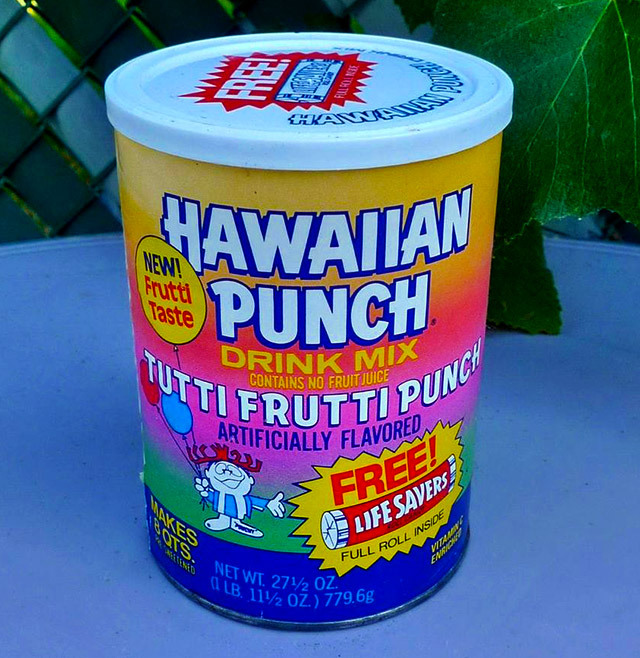 Of all the discontinued flavors, the one I’d most love to see again is Tutti Frutti Punch. Hell, I’d even settle for a closer look at the ingredients, just so I could know which fruits are necessary should one ever want to promote a product under the “Tutti Frutti” banner. Other fallen flavors include Sunshine Yellow and Cherry Royal. In 1988, Hi-C punched back. It’s no secret that there was and remains serious competition in the kid beverage biz, but this was a particularly low blow from the makers of Hi-C.
Back in 1988, Hi-C introduced Hula Punch, an unmistakable attempt to (figuratively) dilute Hawaiian Punch’s famous flavor. The launch commercial for Hula Punch claimed it was “totally Hawaiian,” which was about as close as they could get to saying “we made Hawaiian Punch” without being sued. Even Hula Punch’s packaging was made to resemble Hawaiian Punch’s, with the same liberal use of bold reds and pool table blues. There are seven fruits in every glass of Hawaiian Punch. 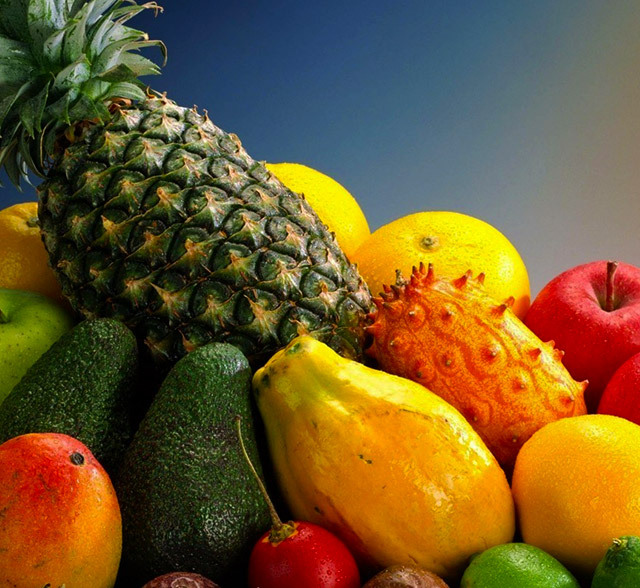 In order of prominence, there’s apple, pineapple, passionfruit, orange, apricot, papaya and guava. Seven different fruits! The F7 to V8’s V8. Don’t get too excited, though. Given that today’s Hawaiian Punch is only 5% juice, you can picture those seven fruits huddled in a lifeboat over a sea of garbage. Hawaiian Punch saved Bubble Yum. 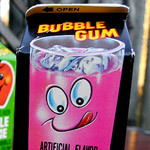 Okay, maybe it’s an overstatement to say that Hawaiian Punch “saved” Bubble Yum, but it at least changed its oil. 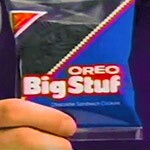 In 1989, there was stiff competition between candy companies to enter the ‘90s with schoolyard buzz. 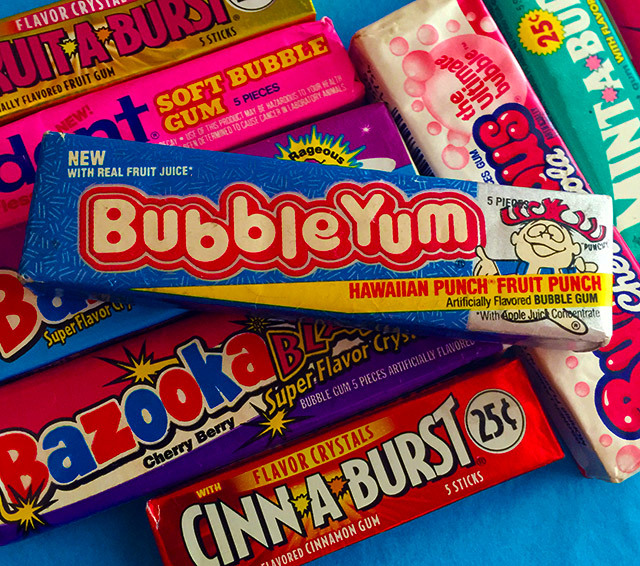 Many of Bubble Yum’s flavors were almost comically on-point for the ‘80s, but if they were gonna survive the edgy ’90s, they needed to become more hip and more now. Bubble Yum’s solution was to unleash three “fresh” flavors, including Strawberry Stripe, Wet ‘n Wild Watermelon, and… Hawaiian Punch. Thank you for reading about Hawaiian Punch. I encourage you use these facts during casual conversation. Remember to incorporate exaggerated hand gestures if it’s looking like the stories aren’t landing.